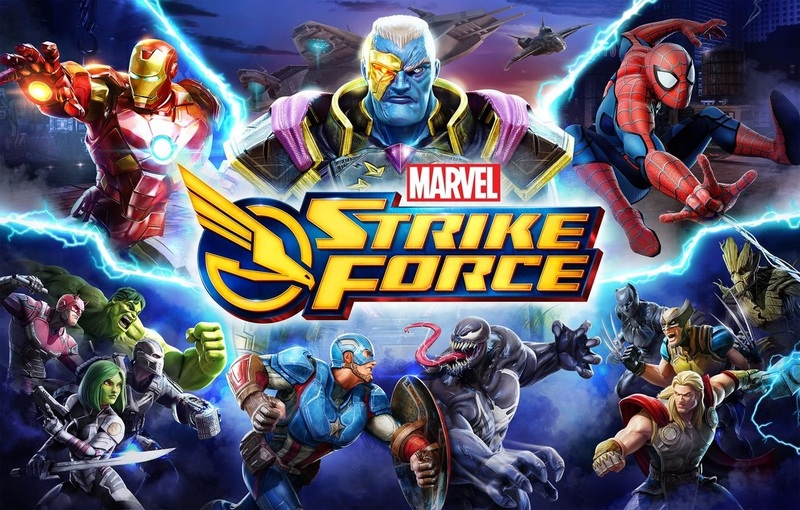 Marvel Strike Force is a turn-based RPG from Marvel that features your favorite superheroes and villains. You gather 5 heroes, villains or a combination of both and take on AI or human opponents. All your favorites from Spider-Man, Iron Man, Captain America, the Hulk and more are here. This is a turn-based system that uses your character’s speed to set the action. There is a blue bar under each character, and you can only act when that is filled. Icons for action appear when it is your turn to act. The icons consist of the character’s basic attack and the other icons are for healing and other abilities. Boxes over each icon let you know if it is available. Tap your selected enemy and when the crosshair appears, tap the icon you want to use and you will see the battle take place. This repeats until one of the combatants is eliminated. If you want to view the battle right away and or just speed things up. Just press the fast-forward button at the upper left. In Campaign mode, the story takes place, while Challenges consist of various daily battles where you can earn bonuses like training modules, currency and health packs. Each Challenge is only available 3 times in 24 hours. There is also the Arena where the fight against other teams. Pick five characters, heroes or villains. In Events, you fight increasingly difficult opponents until you unlock a character. In other words, there is plenty here to keep fans of superheroes satisfied.